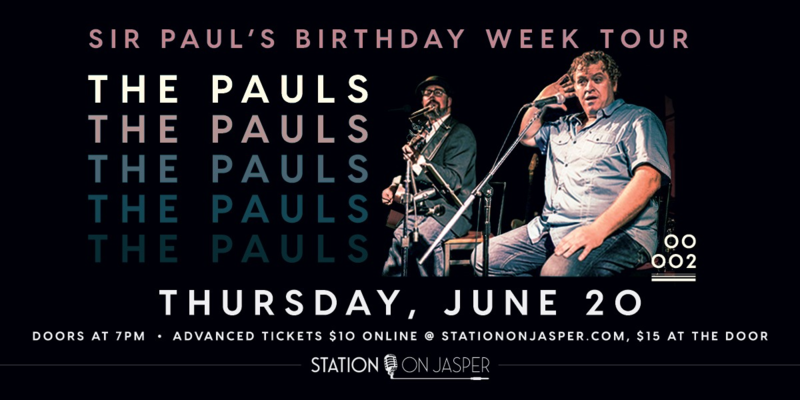 Get ready to experience The Paul’s, a celebration of the two greatest songwriters of all time, Sir Paul McCartney and Mr. Paul Simon. Maple Blues Award winning Kirby Sewell has joined forces with multi-instrumentalist c.e. jeffrey to reimagine these great songs with fun arrangements filled with surprises. Audiences reminisce and reconnect to these timeless melodies with a new found love, as they sing-a-long. Jeffrey, an innovator and seasoned picker, gives Sewell a fresh canvas to craft his vocal prowess on each classic The Pauls deliver. The power duo sings from the heart in seamless harmony, weaving hit after hit into a memorable evening you will not forget.